With a base ingredient of pure, raw honey, Honey Stinger Natural Energy Gel gets you through any activity with a great taste made by nature. 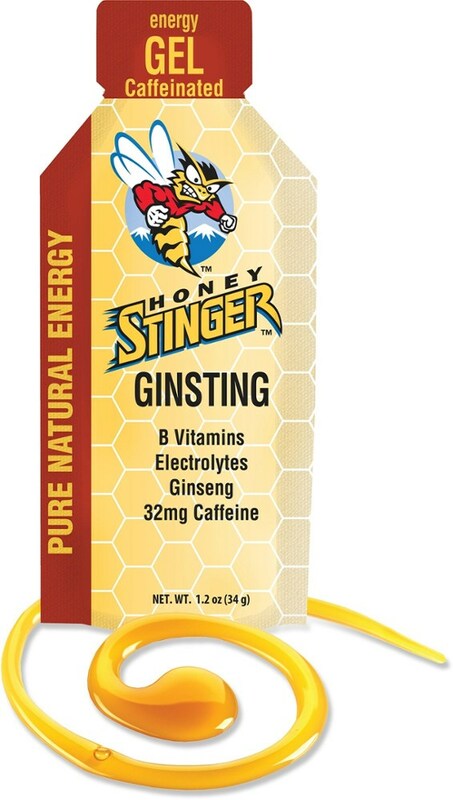 Made in the U.S.A. and packed with essential electrolytes to help you before, during, and after a hike, you really can't go wrong with Honey Stinger! Honey is a proven energy booster and an all-natural alternative. Through countless training runs and many races, you've learned that you're too far gone by the time you start to feel fatigue to bounce back completely. 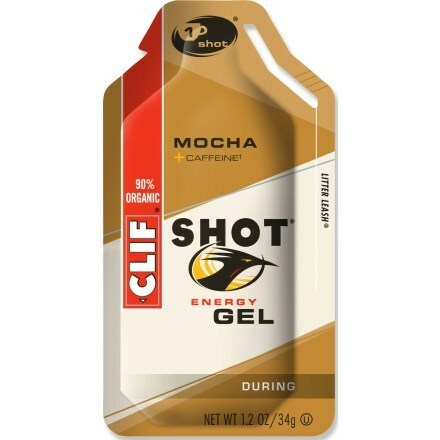 That's why you stay fueled with the Honey Stinger Energy Gel. 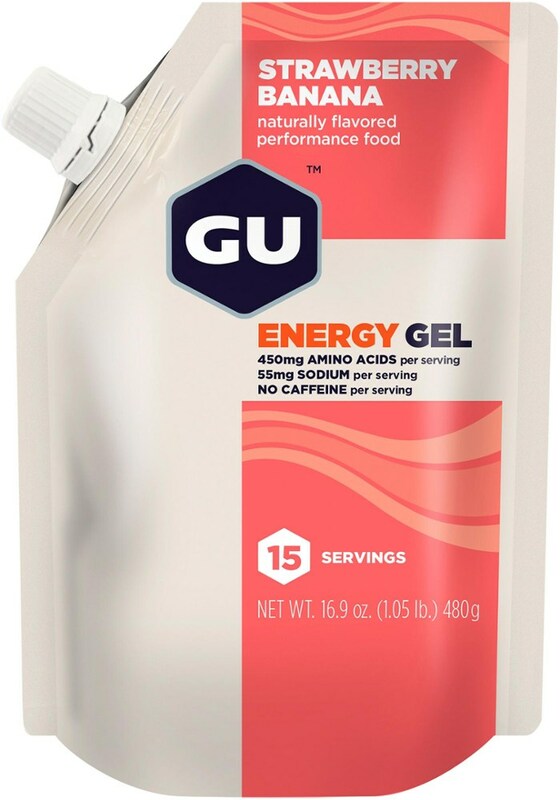 Made with organic honey and organic tapioca syrup, these gels offer a naturally yummy energy boost to fuel you during long training runs or sprints for the finish line. 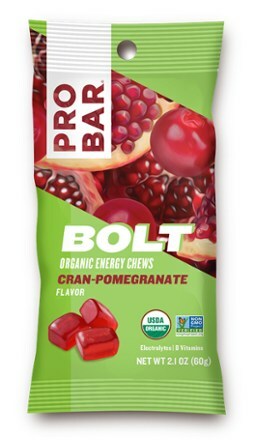 The individual serving packets are lightweight and easy to stash in your back pocket, belt, or vest, so you can test your limits and come out on top. The honey-based energy food is designed for anyone seeking an energy boost, from the serious athlete to school teams and health conscious consumers. 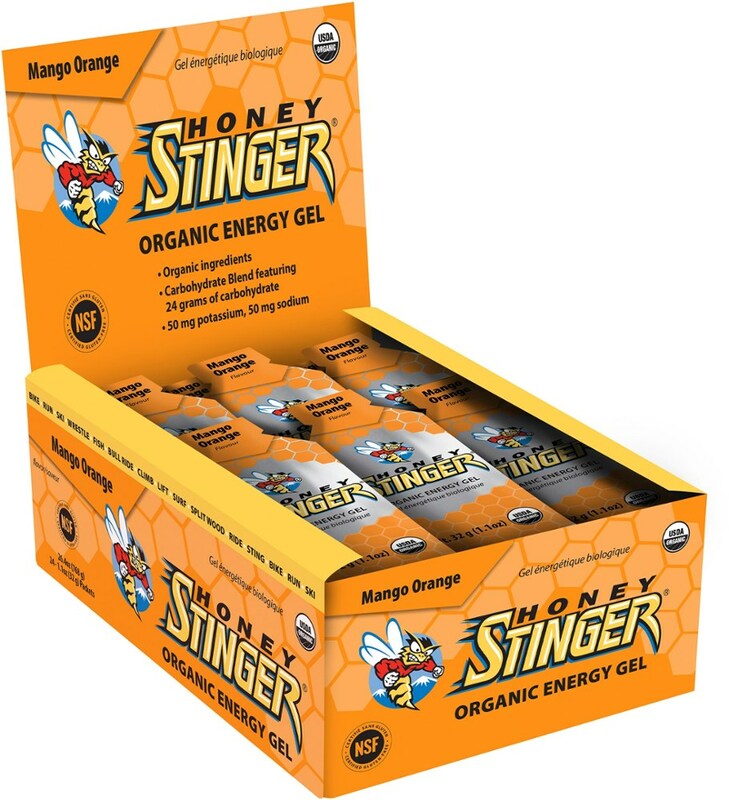 Honey Stinger natural energy gel is made from a combination of pure honey, water, salt, potassium citrate, vitamins, and natural flavors. 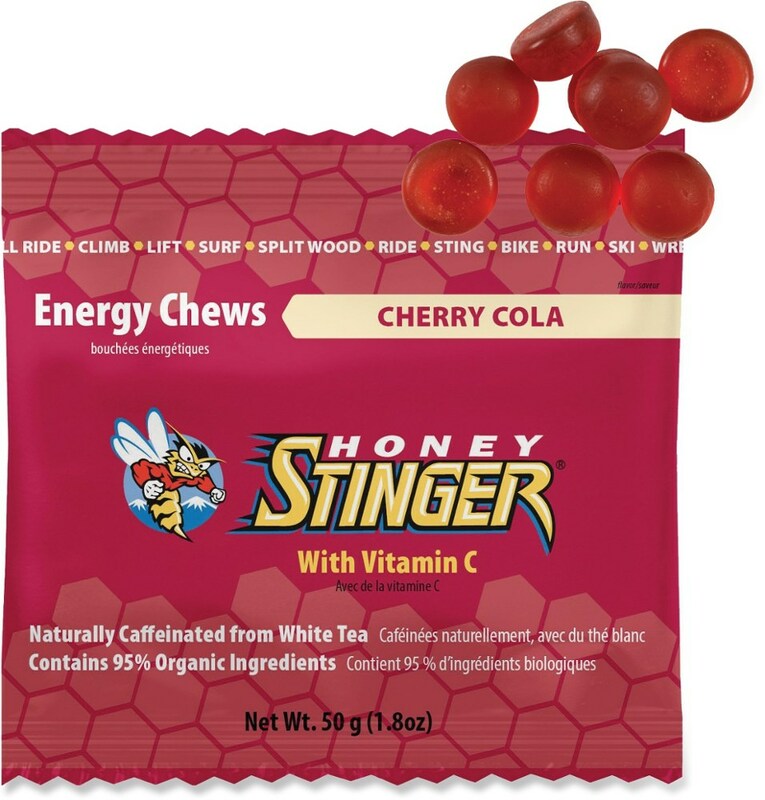 Honey Stinger can be used during activities such as running or cycling. Athletes may consume Honey Stinger before, during, and after workouts. Assortment contains 5 each of gold, ginsting, chocolate, strawberry and 4 banana. 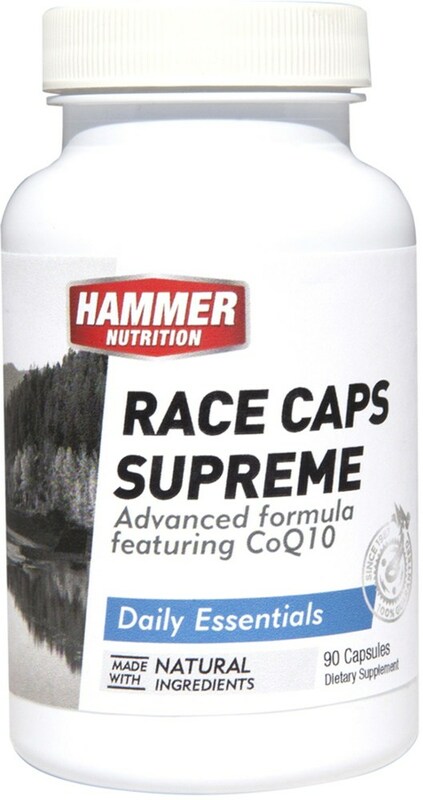 Available as 1.3 oz. Packets (24/box).